Celebrating my 30 years covering the Los Angeles Auto Show will again bring you executive interviews, photos and details of the many new vehicle debuts to SaxtonOnCars.com. 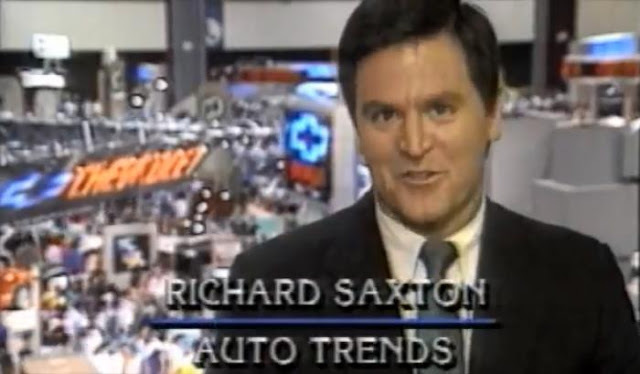 My first LA Auto Show coverage was in 1989 for Financial News Network's Auto Trends program (above) then on KWHY-TV as one of very few television journalists interviewing car executives, a far cry from today's throng of video-crazed smartphone bloggers. My coverage was then heard on KFWB980 NewsRadio, Bloomberg radio, read on Edmunds.com and for the past 10 years seen, heard and read on SaxtonOnCars.com and KNX1070 NewsRadio. World introductions at this year's show will include the Audi e-tron GT concept, BMW 8 series convertible, BMW M340i, BMW X7 Sport Activity Vehicle, Hyundai Palisade 8-passenger SUV, all-new Mazda 3, all-new Nissan Maxima (left) and the Volkswagen Beetle Final Edition. Also, the 2019 Toyota Pruis hybrid, Lincoln Aviator, Lexus LX Inspiration Series plus new surprises from Hyundai, Kia, Jeep, Subaru and Volvo will debut. Manufacturers you may not have heard of, like Chinese electric vehicle company BYTON will display their K-Byte and M-BYTE concepts. Minnesota-based Polaris Industries will show off four of their Slingshot® three-wheeled motorcycle models which they make clear are not an automobiles as they don't have airbags and don't meet automotive safety standards. 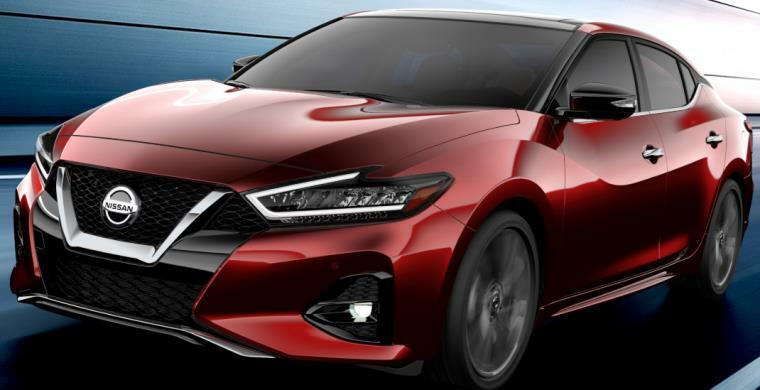 1,000 new vehicles to be on display at the 2018 Los Angeles Auto Show - open to the public from Friday, November 30th to Sunday, December 9th.